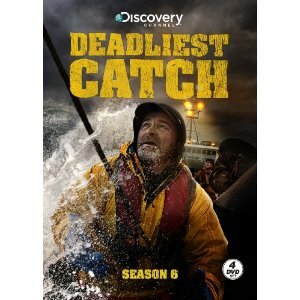 My dad and I are huge Deadliest Catch fans, so when we heard Sig Hansen was going to be at our local college (WesConn) Connecticut this past fall, I jumped on my computer and looked up tickets. With the help from my dad I bought us two tickets for his birthday to go see Sig. It was better than I ever could have expected. 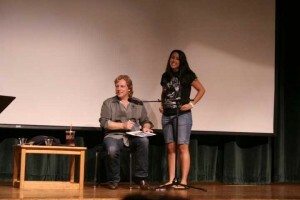 Sig was just so fun and real with the audience. He even received phone calls from Jon Hilstrand and Edgar Hansen and put the phone up to the mic so we could all hear them. When questions were being asked from the audience I had two questions in mind. I was so excited when called upon. My first question was “Do you like my shirt?” (I was wearing a Captain Phil t-shirt) and my second question was “Will you sign my poster?” Sig wasn’t sure if he was allowed to but the moderator said he could and Sig was kind enough to say yes. They invited me on stage and Sig signed my poster. It was certaintly a night I will never forget and I thank you for that Sig.